Security is the number one priority for any professional record management company- and it should be at the top of the list for your company too. Learn more about how to protect your company from hackers, identity thieves, corporate spies, and your competitors. We also touch on ways to ensure digital records are properly encrypted. 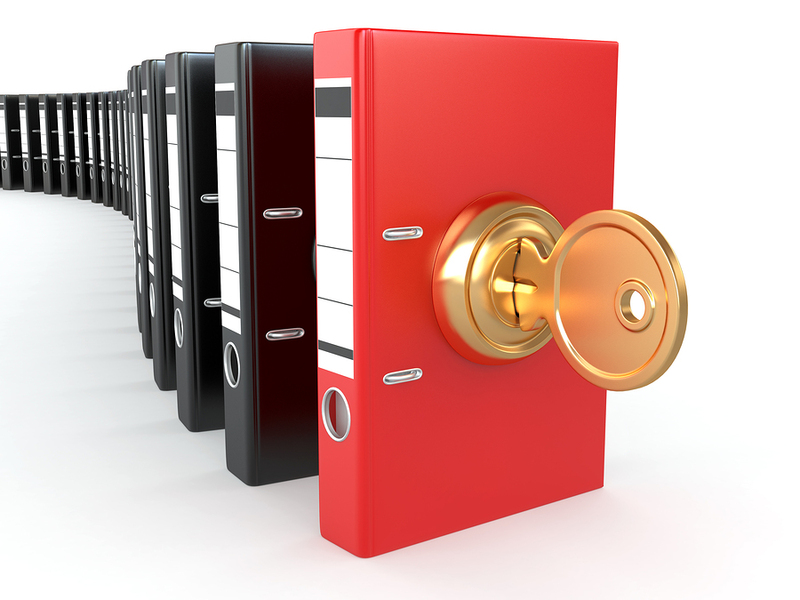 Security is one of the reasons your company should implement a records management plan. Learn about some of the ways you can classify your information to determine what needs to be more secure, and some of the steps you can take to ensure your critical documents are protected against hackers and corporate spies. Understanding chain of custody is an important aspect for law firms, medical practices, and other industries where classified and critical information is passed to various divisions within a company. Learn more about what chain of custody is, and how it could affect your business. Keeping your identity and personal information protected is something that few people consider a risk. Learn more about how to prevent fraud in your name, and some steps you can take to ensure the records you store on-site or for your business are safe. The increase in privacy laws, corporate espionage, and hacker activity had shone a spotlight on the importance of protecting sensitive and critical business records and documents. Get tips on how to protect and properly destroy sensitive documents for your business. Corporate espionage has been around as long as businesses have been formed. Are you worried about losing trade secrets to your competitors? Here’s 10 things that can help prevent corporate spies from getting a hold of your company’s information. Trademarks, copyrights and patents all fall under the umbrella of intellectual property. Generally speaking, these official registrations help protect the ideas, inventions and products of companies or individuals. Learn more about how they work, and how they protect your businesses’ intellectual property. Our experts can help you maintain your records storage needs regardless of format. Let us help you find the right document storage solution for your business. To get free, no obligation quotes from a records management company in your area, fill out the form on the top right of this page, or give us a call at (866) 385-3706. Click these links to learn more about our Records Storage and Document Management services.